Many of us have been there…we’ve been asked a question in which the answer can be deemed controversial because the topic is based on emotion and beliefs. How do we respond? Do we get caught up in the emotion and passion of the issue and try to force our beliefs on others? Do we shy away or try to avoid an answer altogether by remaining silent? Last week’s Sensitive Issues Media and Communications Training was developed to help all of us through these situations. It was a remarkable experience working with an amazing group of ladies, all passionate about food, but looking at food from a variety of perspectives and taking an issues-based approach in developing our team. Our team was comprised of a livestock expert, a manure expert, two food and nutrition experts, a communication’s expert, and myself from a crop production perspective. 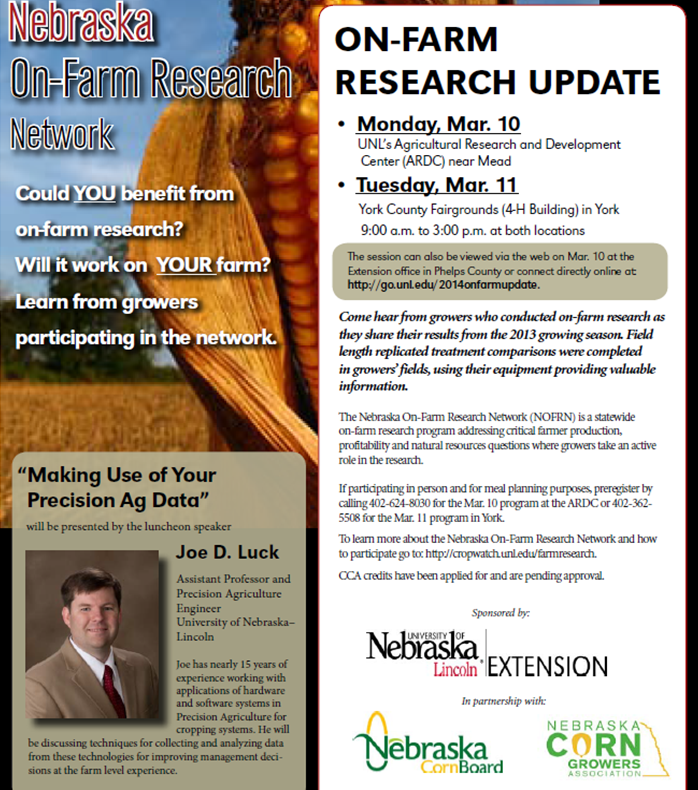 Special thanks to Dr. Chuck Hibberd, Nebraska Extension Dean and Director, for providing us a New Audiences Innovation Grant to partially fund this training. You can catch the conversation on Twitter at #SIMCT15. 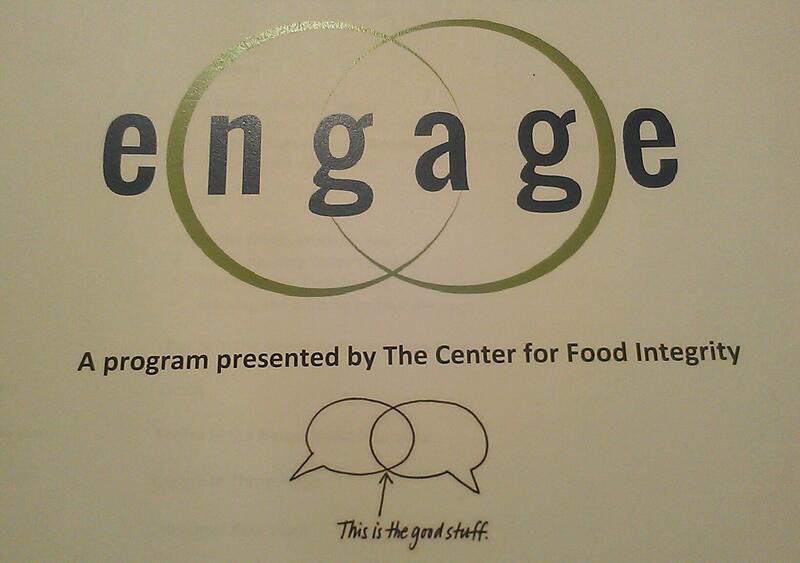 We invited the Center for Food Integrity to conduct their Engage training with us, which was sponsored by the United Soybean Board. This training uses “the power of shared values to highlight industry trends and teaches strategies for using values-based messaging in daily conversations, and public speaking and media opportunities.” There was discussion, role playing, and mock media interviews. The training challenged me to use something I also just learned from “7 Habits of Highly Effective People” training….Seek first to Understand, then to be Understood. By doing X we help the environment. Instead, we need to be willing to talk about the hard issues with authentic transparency…to share our own individual stories. I also desire water that is safe for my family to drink and desire for there to be enough water for future generations. That’s why my colleagues and I work with farmers to use research-based irrigation scheduling tools. Doing so helps reduce over-irrigation which can reduce the nitrate levels reaching our groundwater and the amount of water being pumped from the aquifer. There were a few surprises for me. The first being the progress in one year (based on the Center for Food Integrity’s research) that we’ve made in consumer trust. This slide is essentially saying that 42% of consumers feel the food system is going the right direction (up from 34% last year). Men are more trusting of the food system at 48% believing the food system is on the right track. 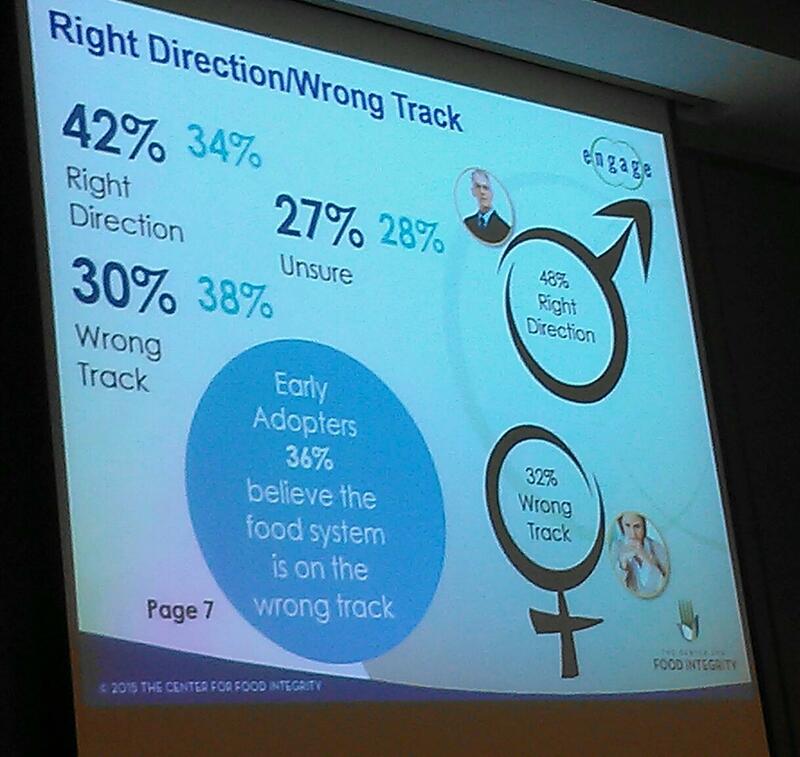 32% of women feel the food system is on the wrong track. Another surprising, yet encouraging piece of information for me to see is which people are trusted the most on sensitive topics. 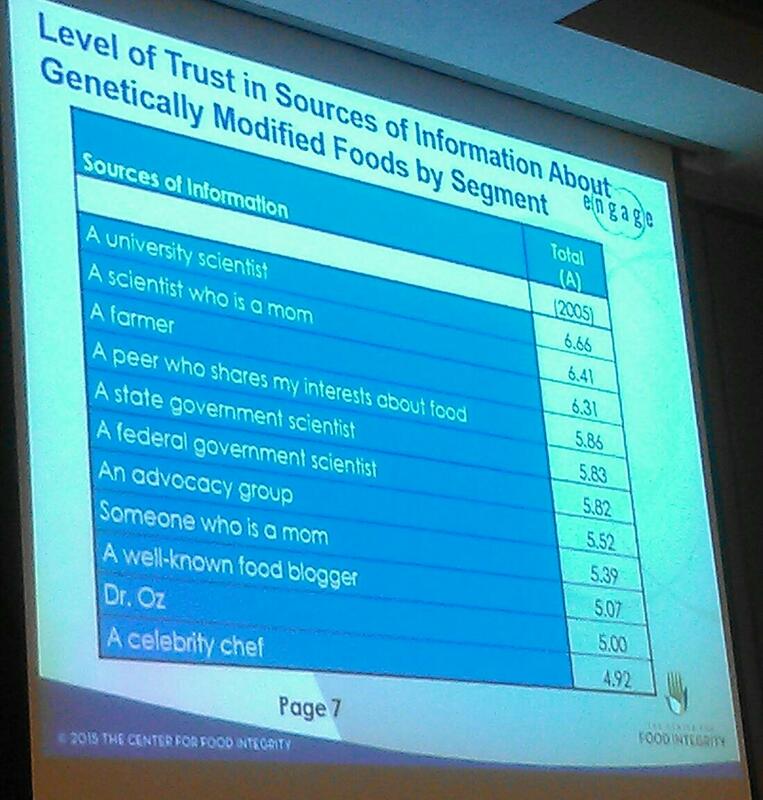 On the topic of genetically modified foods, University Scientists topped the list, a Scientist that was a Mom was second, and Farmers were third. This is different than other research I’d seen, so I was excited about this. It was a survey of 2005 individuals conducted in 2014 and was encouraging from the standpoint that we do still have an opportunity to share our stories with those who truly desire to know more about where their food comes from. We will never change the activists, but we can reach the middle. A picture is worth 1000 words; a video is a library. They showed the following video from Similac entitled, “The Mother ‘Hood“. Instantly, my mind went to how easy it would be for ag to do something similar. We tend to be so divided, but division is killing us. We are in the business of providing a safe, affordable, food supply to the world…but beyond that, our diversity provides consumer choice. If you watch the video, consider what is the common issue that could bring all of ag together. I have some ideas and my team members and I have discussed what a similar video with diverse agriculture groups would look like. What are your thoughts and ideas? In time for Christmas of 2013, members of the Nebraska National Guard Agribusiness Development Team 4 (NE ADT4) returned home to their families from Afghanistan. While the NE ADT missions were concluded, lasting impacts in the lives of the Afghan people will hopefully remain for years to come. Members of NE ADT2, UNL Extension Educator Vaughn Hammond, and Afghan Extension agents after a train the trainer program. Our military worked to “win the hearts and minds” of the Afghan people by helping them learn how to grow their own food and provide for their families. You can read more in this post about their missions and ultimately the efforts to train the extension faculty to take the research they were conducting to the people of Afghanistan so their lives could be improved. This is what Cooperative Extension in the United States does every day for our citizens! It has been an honor to work beside the men and women defending our Country and our freedom! It was also a blessing to have a unique insight to the missions and accomplishments of these teams as a military wife serving at home while my husband served with NE ADT2. Beginning with three UNL Extension faculty providing reach-back to NE ADT1 in 2008, an ADT Training Team grew to over 60 individuals from UNL Extension and Research, Natural Resources Conservation Service, USDA National Agroforestry Service, UNO’s Center for Afghanistan Studies, and the Nebraska Corp of Army Engineers providing pre-deployment agricultural training followed by reach-back during deployment for NE ADT2-4. Since this was the conclusion of this effort, I wished to share a few of the impacts our military shared with me via a survey sent to 27 military members from NE ADT1-4 (n=14 respondents). 93% agreed or strongly agreed that the training received from the ADT training team prior to deployment helped prepare them with information needed during deployment. 93% agreed or strongly agreed that the reach-back they received from the ADT Training Team was timely and helpful. We often don’t hear about the great impacts our military members have on the Afghan people while they are deployed. Here are just a few of the many stories in their own words as they share the importance of partnerships during deployment. I was in constant contact it seemed with a couple members of the UNL extension. Their support guidance and assistance was immeasurable. I received training material from the Beef Basics course for classes I taught to Afghan college students and constantly received ideas and assistance from the extension members. Drawing on some of the education provided on water resource management, I identified a dam that was in danger of failing..threatening the village below. Emergency efforts were then made to shore up the dam. The livestock and poultry education gave us the base from which to provide training, in turn, to the Afghan people using, in my case, the Center for Educational Excellence (CEE) in Sharana, Paktika. A highlight for me was a series of training on livestock vaccination (FAMACHA) conducted in remote sites – even on a mountain side – in eastern Paktika. ADT 1 received direction, websites, hard copy fliers, books, and additional training information through mail, email and correspondence. The farm and machinery safety information was vital to the development of an “Operator’s Maintenance / Safety” video and handbook that we developed for the Afghan farmers. But just simply bouncing ideas back and forth was much more beneficial than anything else for me. I’m just so glad that future ADT’s saw the need and developed a plan to initiate Extension and the ADT Training team into their in-state training! The initial training, relationships created and reach back capability had a direct effect on the success of our mission. I am proud to have had such an excellent working relationship with UNL and the ADT training team during our deployment. 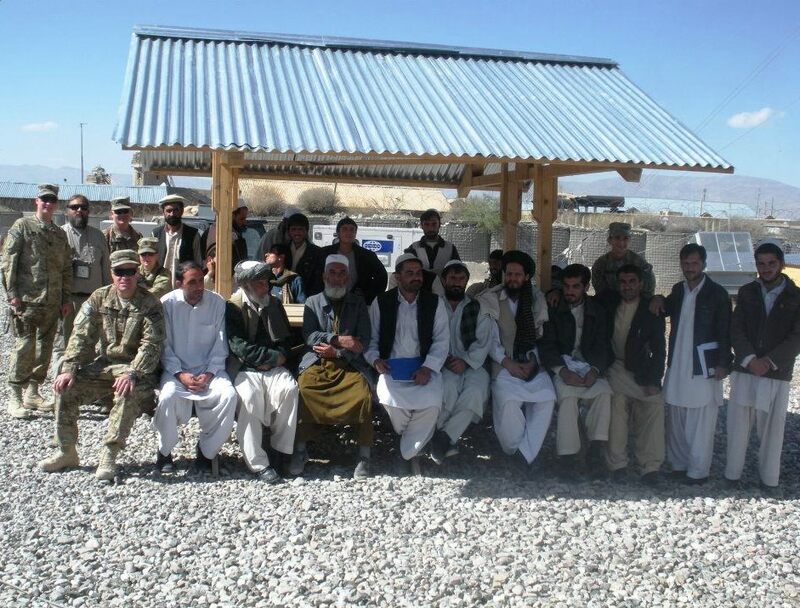 During our time in Afghanistan we made a train the trainer program for the Ag Extension Agents and DAIL staff to utilize. A lot of the material that was given to us and from our training were put into the training program. The NRCS training we received in Texas pre-deployment gave us a good idea of the terrain, crops and irrigation practices. Agroforestry helped in identifying tree species. The Nemaha NRD assisted by providing a template of their Tree Program which we started in the Paktya Province with their MAIL & Extension Agents. UNL Extension was vital to our success in many ways by providing an Extension Educator (Vaughn Hammond) as well as advice on many relevant topics. 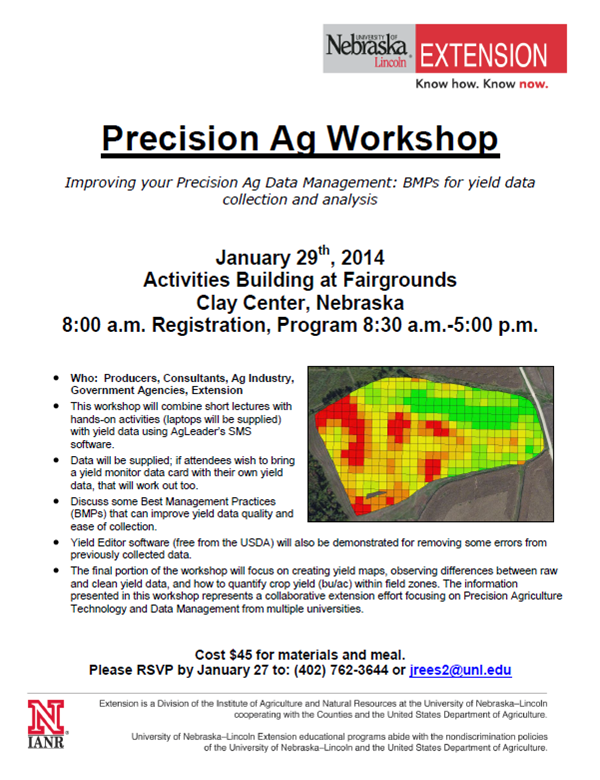 Our mission success would not been as great without the support of UNL Extension and the ADT training team. 3) Two times more likely to engage in Science, Technology, Engineering and Math (STEM) programs in the out-of-school time. 4-H is the largest youth development organization in the world! It’s a community of seven million young people across the globe learning leadership, citizenship, and life skills. In the U.S., 4-H programs are implemented by the 109 land grant universities and the Cooperative Extension System through their 3,100 local Extension offices across the country. Overseas, 4-H programs operate throughout more than 50 countries. 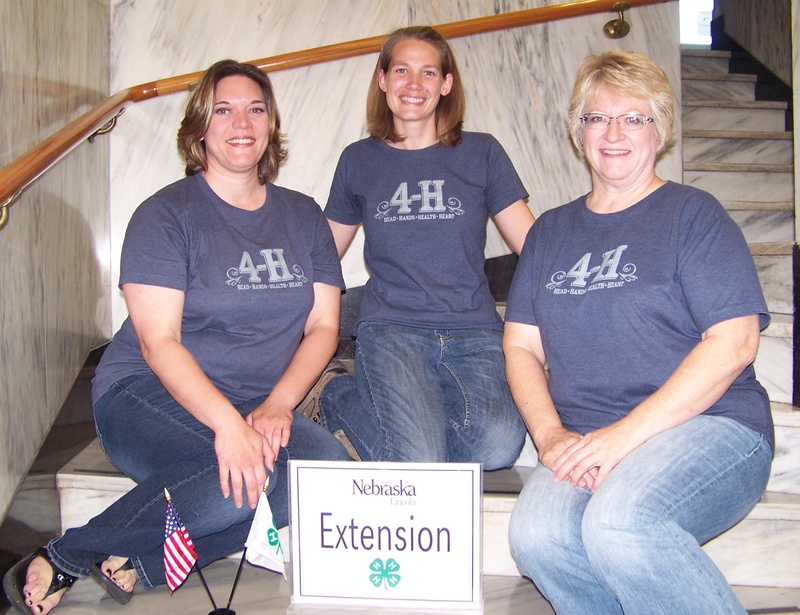 To learn more about 4-H locally, contact our office at 402-762-3644 or on our webpage. We would like to visit with you about the program and how you and your youth could become involved! We’re always looking for potential volunteers and program ideas. You can also learn more about 4-H at the State and National levels. When to Post: October 6 to 12, 2013. Post your pictures then check back to “like” your favorite photos! Official voting ends October 13th at midnight. The best picture from each category will receive a prize! The latest event in the Clay County storm occurring August 1st has become germination of “good” kernels left on the ears that have been damaged by hail. This event of kernel germination prior to harvest is also called “vivipary”. 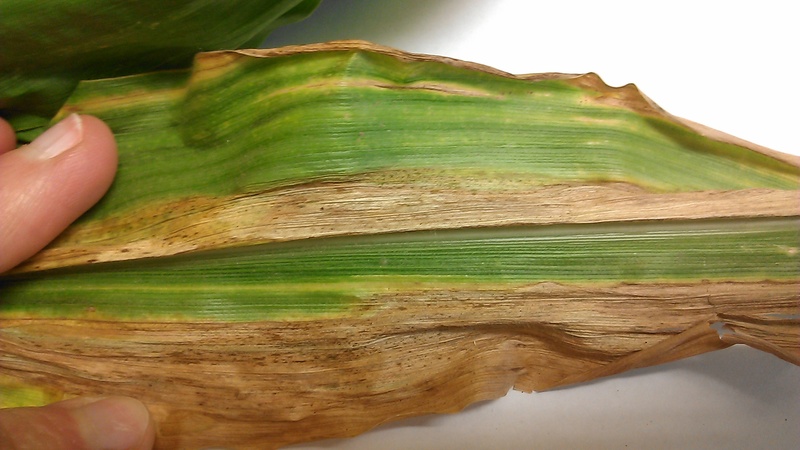 Typically we wouldn’t see this occur before black layer because of the hormonal balance within the kernels-particularly the balance between gibberellin and abscisic acid. According to a study by White, et. al (2000), Gibberellin production with the lack of ABA allowed for kernel germination while less Gibberellin and more ABA deterred kernel germination. At full maturity, very little ABA is left in the kernel (in both corn and soybeans) which allows them to germinate in correct conditions after harvest. 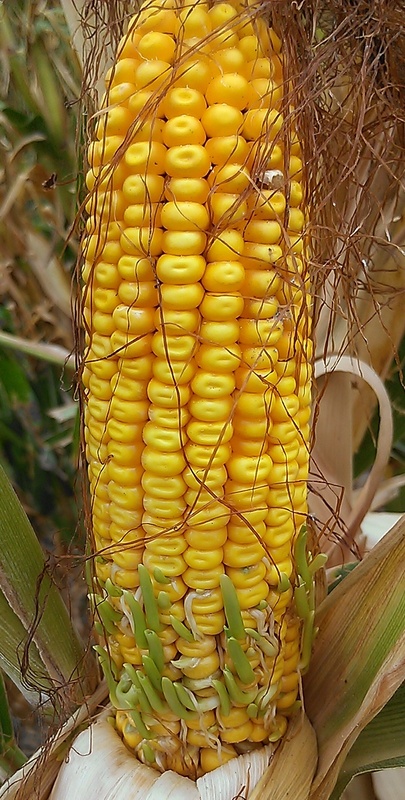 But this can also allow for sprouting in the ear after black layer when corn is still drying down, particularly in tight-husked, upright ears with conditions of high humidity or rain after black layer. Sprouting under those conditions typically occurs at the base of the ear first. Why are kernels sprouting before we’ve reached black layer? That’s a good question. I haven’t found much in the way of scientific explanation other than the thought that the hormonal balance of the kernels can be altered by physical damage from hail, bird feeding, and grain mold. Some ear mold fungi also produce gibberellic acid which can lead to a hormonal balance shift in these ears stimulating germination. I also haven’t observed that this is hybrid-dependent and am finding as much as 25-50% sprouted ears in various areas of hail-damaged fields. 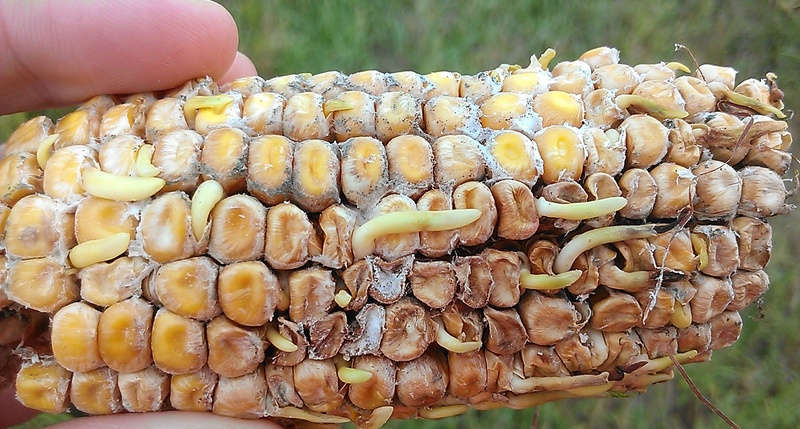 Make sure your crop insurance adjuster is aware of the situation and make sure to submit samples for kernel damage due to mold, sprouting, and check for mycotoxins prior to harvest. The local co-op may or may not choose to accept the load depending on percent damage and the standards they need to follow. If the load is rejected, contact your crop insurance agent to determine your next step. DO NOT bin the grain on your farm until you contact your insurance agent as they have specific rules that need to be followed in the case of grain rejected due to mycotoxins or kernel damage from storms. 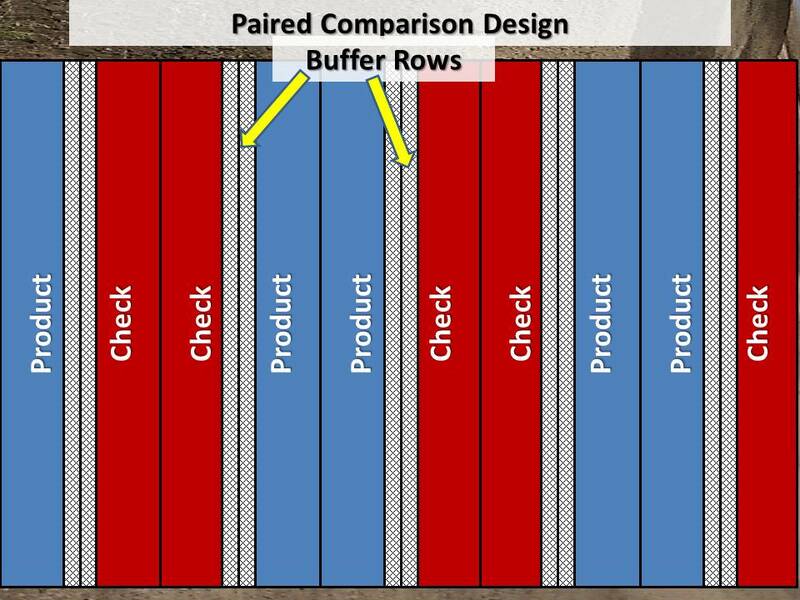 Sprouted kernels lead to higher kernel damage and more fines in a load. 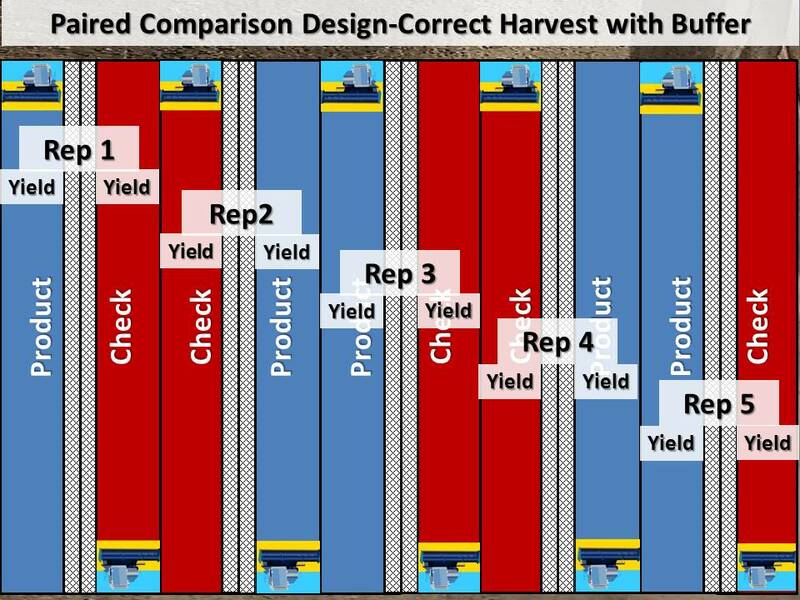 Keys for harvest will include harvesting early, getting corn dried down to 14%, potentially drying at a high temperature to kill the sprout, screening out fines, and monitoring stored grain closely for hot spots, mold, and additional sprouting grain. You can also choose not to take it to grain right now, and honestly, that may be the best option for several of the hail-damaged fields. Silage is still an option and it would be recommended to sample the green chop going into the silage pit for potential mycotoxins. Mycotoxin level does not change with fermentation so cattle feeders would have a good idea of any mycotoxin levels if sampling was done in this manner. See this post for additional information on making silage. Du-Pont Pioneer. (2007). Field Facts: Pre-mature Germination of Corn Kernels. Nielsen, R.L. (2012). Premature Corn Kernel Sprouting (aka Vivipary). Corny News Network, Purdue University. White et. al. (2000). Gibberellins and Seed Development in Maize. II. Gibberellin Synthesis Inhibition Enhances Abscisic Acid Signaling in Cultured Embryos. Plant Physiology Vol. 122 no. 4 pg. 1089-1098. Wiebold, B. (2009). Wet Weather Can Cause Seeds to Sprout before Harvest. 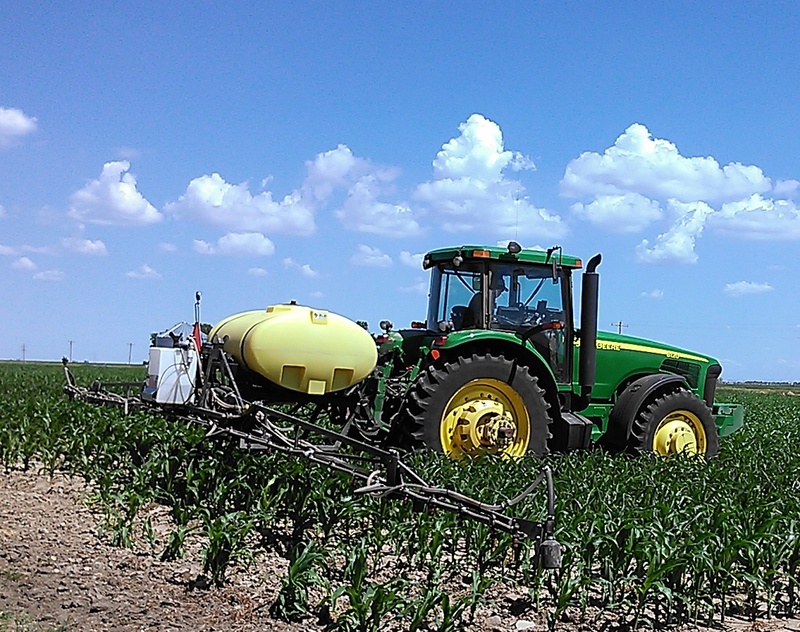 Integrated Pest & Crop Management Newsletter, Univ of Missouri. The sun has been welcomed and crops are rapidly growing in South Central Nebraska! Corn right now is between V6-V8 (6-8 leaf) for the most part. Quite a few farmers were side-dressing and hilling corn the past two weeks. It never fails that corn looks a little stressed after this as moisture is released from the soil and roots aren’t quite down to deeper moisture. Installing watermark sensors for irrigation scheduling, we’re finding good moisture to 3 feet in all fields in the area. The driest fields are those which were converted from pasture last year and we want to be watching the third foot especially in those fields. Pivots are running in some fields because corn looks stressed, but there’s plenty of moisture in the soil based on the watermark sensor readings I’m receiving for the entire area. So we would recommend to allow your crops to continue to root down to uptake deeper moisture and nitrogen. 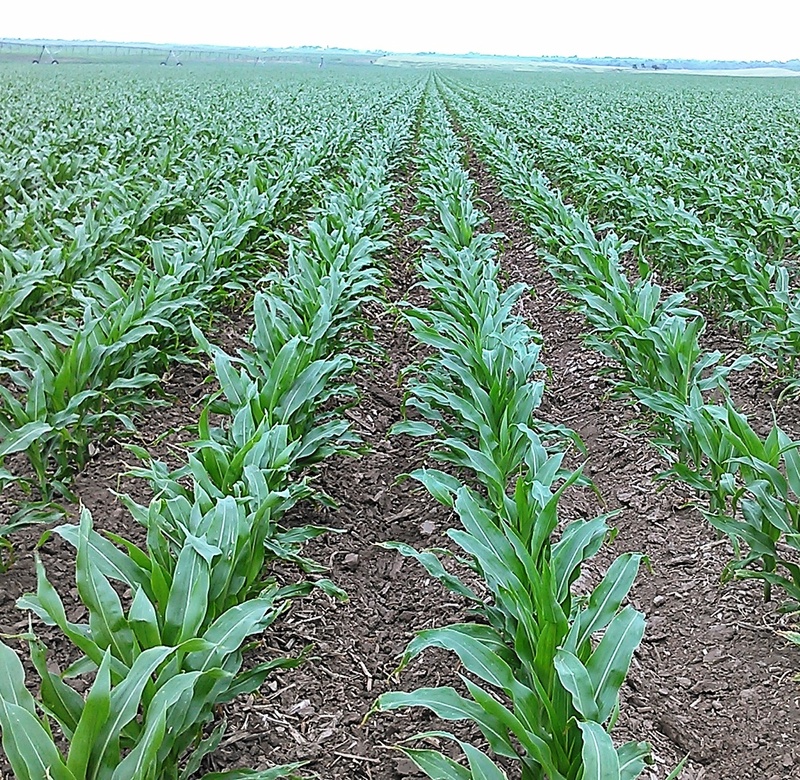 The last few weeks we observed many patterns from fertilizer applications in fields but as corn and root systems are developing, they are growing out of it. We’ve also observed some rapid growth syndrome in plants. This can result from the quick transition we had from cooler temperatures to warmer temperatures, which leads to rapid leaf growth faster than they can emerge from the whorl. Plants may have some twisted whorls and/or lighter discoloration of these leaves, but they will green up upon unfurling and receiving sunlight. This shouldn’t affect yield. Damping off has been a problem in areas where we had water ponded or saturated conditions for periods of time. We’ve also observed some uneven emergence in various fields from potentially a combination of factors including some cold shock to germinating seedlings. We began applying sugar to our on-farm research sugar vs. check studies in corn. We will continue to monitor disease and insect pressure in these plots and determine percent stalk rot and yield at the end of the season. Leaf and stripe rust can be observed in wheat fields in the area and wheat is beginning to turn. We had some problems with wheat streak mosaic virus in the area again affecting producers’ neighboring fields when volunteer wheat wasn’t killed last fall. Alfalfa is beginning to regrow after first cutting and we’re encouraging producers to look for alfalfa weevils. All our crops could really use a nice slow rain right now!